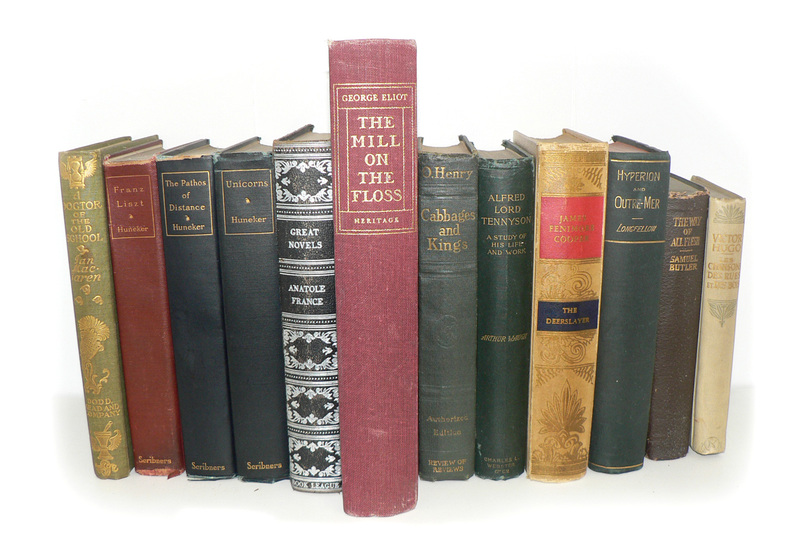 Giving away these 12 vintage and antiquarian books; O. Henry, Longfellow,George Eliot, Hugo (in French) and more. There's a book called "Unicorns"? I must have it. Hugo is my favourite! I have a book shelf that would be the most incredible home for these beauties! Such wonderful literature and such lovely "spines"! Please enter me in your Friday Giveaway. Thank you. I disagree with Alden, because I must be the one to possess the unicorn book. Would love to win these and display them for all to see. Please please please let the giveaway be international... Or hell, even if it isn't I'm sure I could scare up a us address if I had to..someone would volunteer. Such pretty books. Looks like my English course reading list--must have! A lovely set, please consider me entered! Those remind me of the dream I've had all my life: to have a floor to ceiling library in my home, with old classics that have that special scent when they fall open to a page that a previous owner loved. Raises hand! Please add me to the drawing! *Raises hand! * Please add me to the drawing! These would look great in my new Victorian style bedroom!!! I have been searching for 1850-1910 books!!! Looks like retirement reading---and that's ME! What a nice collection count me in. Another handsome set. Please enter me. These look lovely! Please enter me. Just kidding, count me in! Those are some real treasures--thanks so much for offering them! Books get more beautiful with age. Another wonderful give-away. Commenting in hopes I am entered. Please add me to the list. These look great. These look wonderful. Enter me too. wow, they are really beautiful! I'd love to have them! Your giveaways are so awesome! Oddly, I want the Unicorn book too! Who said Unicorns?! I want them too! Unicorns, French, and Tennyson?! Wow, this is pretty much my dream assortment. Would love to win! !